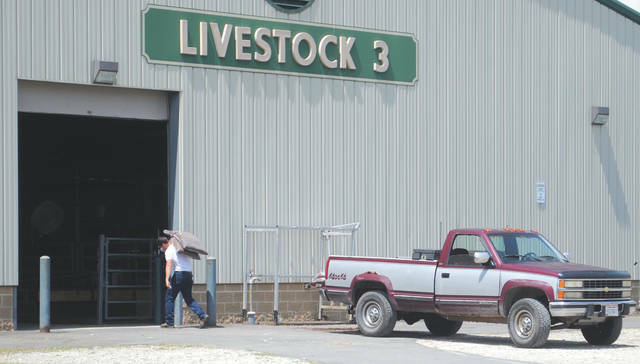 Individuals preparing barns where their livestock will live over the following days. Whitney Vickers | Greene County News Fair participants were preparing the grounds July 27 where the anticipated Greene County Fair will take place. The event runs Sunday, July 29 through Saturday, Aug. 4 and offers a variety of family-friendly activities. Some individuals enjoy the fair so much that they camp out through the event. Food vendors moving picnic tables near where they will be located. 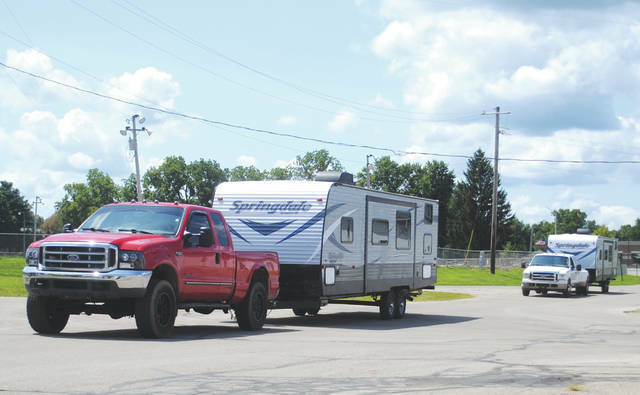 Fair participants were preparing the grounds July 27 where the anticipated Greene County Fair will take place. The event runs Sunday, July 29 through Saturday, Aug. 4 and offers a variety of family-friendly activities. Some individuals enjoy the fair so much that they camp out through the event. https://www.fairborndailyherald.com/wp-content/uploads/sites/50/2018/07/web1_fairsetup1-1.jpgIndividuals preparing barns where their livestock will live over the following days. 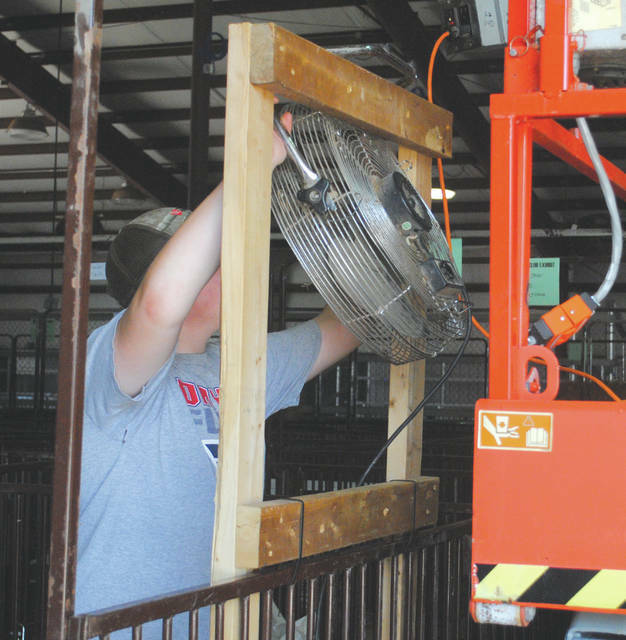 https://www.fairborndailyherald.com/wp-content/uploads/sites/50/2018/07/web1_fairsetup4-1.jpgWhitney Vickers | Greene County News Fair participants were preparing the grounds July 27 where the anticipated Greene County Fair will take place. The event runs Sunday, July 29 through Saturday, Aug. 4 and offers a variety of family-friendly activities. Some individuals enjoy the fair so much that they camp out through the event. https://www.fairborndailyherald.com/wp-content/uploads/sites/50/2018/07/web1_fairsetup5-1.jpgIndividuals preparing barns where their livestock will live over the following days. 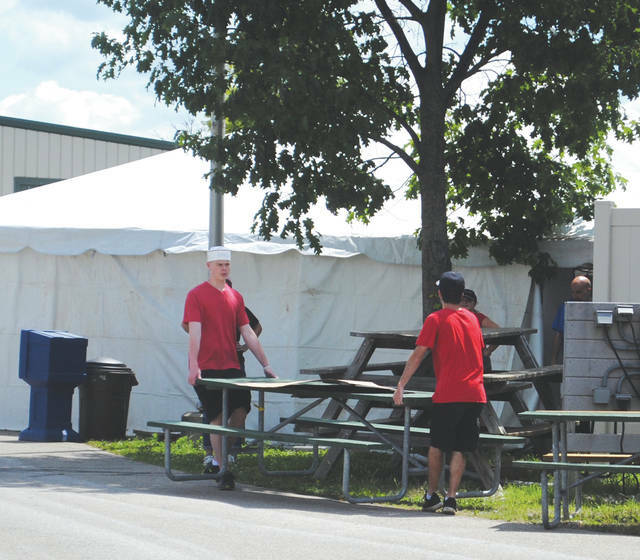 https://www.fairborndailyherald.com/wp-content/uploads/sites/50/2018/07/web1_fairsetup6-1.jpgFood vendors moving picnic tables near where they will be located.